You can find Nomad Lounge in the same building structure as Animal Kingdom’s Signature Restaurant, Tiffins. Hand-crafted cocktails, as well as non-alcoholic specialty drinks and small plates are on offer. African, Asian, and South American wines and beers are also featured, and these regions also feature into the flavors of the specialty cocktails. The experience of travel is celebrated at Nomad Lounge, so bring your sense of adventure! Disney Food Blog Review! 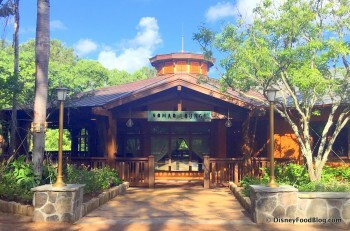 New Nomad Lounge Menu in Disney World’s Animal Kingdom! Nomad Lounge is located in the same building at Tiffins. Enjoy the inviting air-conditioned indoor lounge, or gorgeous outdoor patio seating.